Link audits sound mundane and tiresome, but they are becoming more important than ever. A few years ago, having more backlinks gave your website a higher ranking in search engines. This encouraged websites to go for quantity over quality, grabbing every linking opportunity that came their way. This strategy worked at first, but now simply having loads of backlinks does not do the trick. Your backlinks must be qualitative (no spammy links from questionable websites) to bring better traffic to your website. The quality of backlinks started becoming relevant in 2012. After Google released its Penguin update, the number of links that you had, became a secondary metric. The new algorithm was designed to tell apart credible links from spammy/toxic ones. As a result, people began focusing on maintaining backlink quality in order to keep their SEO from being compromised. Due to this revelation, companies are starting to demand experts who can help them sort out their backlinks for them. This is what link auditing is all about; assessing a website’s links in order to determine their health and quality. 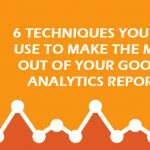 Whether you are an SEO expert or someone who owns a website, being able to audit backlinks is going to really come in handy. So let’s start discussing how to perform backlink audits in the best way possible. 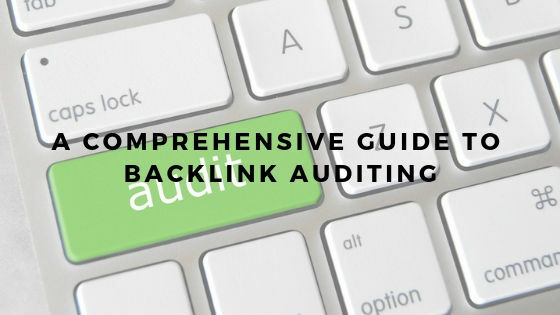 2 Why Are Backlink Audits Important? Before we dive into more advanced stuff, let’s revise the basics. Backlinks are links that route traffic from one website to another website. The more backlinks you have, the more traffic you can attract from all over the internet. The quality of a backlink is determined by its credibility and its relevance. Why Are Backlink Audits Important? Websites often accept links from any source simply to increase their backlink count. This is a bad move since they end up accepting low quality domains as well. Google can spot low quality (and irrelevant) links and this makes your website look bad. A backlink should not only be relevant to your content, but also to your location. Links that direct traffic from one part of the world, such as from a US website to a Chinese website don’t seem natural except in some unique situations. Speaking of links that aren’t natural, unnatural links go against Google’s quality guidelines. Google hands out warning messages against unnatural links and these can be very bad for your SEO. Unnatural links can also subject you to link penalties. Peeking at your competitors every now and then can be a good idea. This gives you an idea about how they are operating and can also reveal opportunities. In the world of SEO, it is possible to steal your competition’s backlinks and make them your own. This can give you a significant advantage. Out of these 4, the Google Search Console is free, while the rest require subscriptions. The right tool for you will depend on your budget and on the complexity of your website. The paid tools offer features that make auditing faster and easier for you. Fortunately, all of these paid tools offer trials for first time users. Some people even use more than one tool and then combine their data for a better analysis. This produces more accurate data, but also makes auditing complicated as data from every tool needs to be combined using spreadsheet software. Once you have selected a tool of your choice, you can begin gathering relevant data. Each of the above mentioned tools let you access data on various links. We’ll run you through the process of using each tool to get the data that you require. Start off by creating a free account, this lets you avail a free trial. Once you have created an account and have signed in, navigate to “Moz Pro” and select “Link Explorer” from the menu. Next, enter your website’s domain into the given field. Once you have entered your domain, select it as your root domain and then click on “Request CSV”. Now simply save the file into your computer. Ahrefs offers a 7 day trial for $7 to first time users, so create a new account and log in. Type in your domain and click on “backlinks”, then navigate to “All links”. Finally, click “export” to save the data on your computer. Do the same as with the other tools. Enter your domain, select backlinks and then export the data onto your computer. Simply log in to your account, select the properties that you require and then navigate to “Links”. Click on “Export external links”, a sub-menu will open, now click on “More sample links”. A prompt will now open up asking you to select a format, click on “Download CSV” to save the data on your computer. If you are about to carry out a link audit for a website with larger data then we would suggest that you use more than one tool. This will make things slightly difficult, but your audit will become much more effective as well. Keep in mind that the process of aggregating data and categorizing it on spreadsheet software isn’t easy and requires an understanding of spreadsheet software. The data that you obtain from all these tools will also let you carry out a pre-audit research. This will give you a better idea on what your competition is doing, what the current trends are and more. Once you have enough data to understand the current state of backlinking, you can start looking for your own backlinks. Majestic and Google Search Console are both good for finding your own backlinks. A great thing about Google Search Console is that it has a simple and easy to use interface. However, Google’s simplicity means that it lacks some of the more sophisticated analysis features that other backlink tools offer. URL Profiler is not the only option that you have, there are a number of analysis tools to choose from. Each tool works in its own way, but as long as it is capable of identifying the four factors that we have listed above, it will help you out with your analysis. Whichever tool you decide to use, what you will want to do is enter your identified backlinks into the tool. If a tool has the option for batch analysis, then enter all your links in one go, select the elements that you want analysed and then run the analysis. Once you get the results of the analysis, save them in a document. At this point, you should have all the data that you need to begin auditing your backlinks. At this point, it is advisable that you place your data on spreadsheet software, even if you are using data from a single source. This is because spreadsheet software makes it easier to keep things organized. Now run your links through an analysis tool and keep your eyes peeled for any of the above mentioned red flags. Keeping a lookout for weird or unusual anchor text is also important. Anchor text that includes adult words, foreign languages, or weird symbols should be ticked off immediately. Identifying bad links seems hard at first, even with a decent analysis tool on hand. However, with a bit of practice, you will be able to develop a pretty good sense of what links to blacklist. A seasoned link auditor can immediately tell whether a link is healthy or not by simply looking at its metrics. Once you have identified and blacklisted all of your bad backlinks, you will want to sever them from your website. You do this by telling Google to stop associating those links with your website. To do this, you have to send a request to Google. Once the request is accepted, Google’s algorithm stops associating those links with your website. Keep in mind that these links will still continue to be visible in your link list. You can simply contact webmasters to remove a bad link completely or give it a “nofollow tag”. While contacting webmasters is not easy and it takes time, you should think of it as an essential step. Another way to remove a bad link is by simply “deleting” the pages to which they direct traffic. For example, if you have a backlink for your help page, you can delete it or change its URL. This will result in a 404 error being generated by that backlink, and Google will begin disregarding it. The third and final method is to use the Google Disavow tool which is specially made for this purpose. With these three methods, you will be able to cut yourself from all of your bad backlinks. Knowing how to use Google’s Disavow tool is an invaluable skill. This handy tool can be found in Google’s Webmaster Tools and basically gives you the ability to get rid of multiple bad links in a simple manner. To get rid of bad links through Goggle Disavow, you first need to gather all of your bad links in one text file. The text file must have a 7-bit ASCII or UTF-8 format, otherwise the tool will not recognize it. Changing the format of your text file is easy. Simply navigate to the “Save As” option in the files tab. This will take you to the save window from where you go to “Encoding” found at the bottom right corner of the window. The “Encoding” option lets you change your file’s format to the appropriate one. If you have a hard time changing your file’s format then you can simply upload it to an online converter tool and let it do the work for you. If you only want one URL disavowed, then simply add the URL without mentioning its domain. Once you have entered all the bad links that you no longer need, you can now upload the file to Google Disavow tool. Go to Google’s disavow tool and choose the website that you are auditing from the given dropdown list. Once you have selected your website, you will get the option to upload your disavowal file. After the file gets uploaded, you get a confirmation message that shows that your file has been uploaded. The message will show a count of the number of single URLs and domains that you submitted in the file. Google begins disavowing the given websites immediately. However it can take a day or two for every link to be completely disavowed if you submitted a lot of bad links. Google’s disavow tool makes link auditing incredibly straightforward. Just keep in mind that you do not type “http://www” before any of your submitted links. Doing so will make a provided link unrecognizable by the tool. If there is a mistake in your submitted file or if you simply want to update your list of bad links then you can always re-upload your file. Simply make the changes, double check the file’s format and upload it again. The new file will automatically overwrite the file that you submitted before. Link auditing became relevant in 2012. Ever since then, many websites have been making an extra amount of effort in keeping their backlinks as qualitative as possible. Backlink auditing has become easier now thanks to all the tools that are at our disposal. With a bit of practice, you can complete a comprehensive audit within an hour. It’s a valuable skill that has effectively become a must have for SEO experts now. Whether you’re a professional or an average person looking to maintain your website’s SEO, you should remember to audit frequently. Frequent audits will help in weeding out poor links. You will also minimize the chances of being penalized. You might have read somewhere that link building is a thing of the past now since numbers don’t matter anymore. While numbers are no longer a major factor, they do matter. One shouldn’t think that link building is a waste of time. It is still an effective way of increasing website traffic. However, there is now an added dimension to link building; you must make sure that the links you build are credible as well. Lastly, the best way to keep your need for an audit to a minimum, simply follow Google’s Webmaster Guidelines. 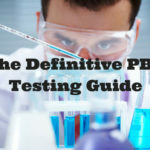 Websites that have been made with these guidelines kept in mind have a lesser amount of bad links from the start. Prevention is always the best medicine, build links with all the red flags kept in mind and you’ll have to deal with far fewer bad links. 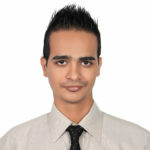 Noman is an internet marketer from Pakistan who has been making a living from SEO since 2009. He loves trying new ways to get results for his clients.